IRS Tax Attorney Naperville: Keep Your Tax Documents! One of our recent cases gives an example of an IRS problem caused by failing to keep complete and accurate records. This case is being handled out of the Matteson IL office. This IRS location handles most collection cases from cities like Matteson, Frankfort, Mokena, Orland Hills, and Tinley Park IL. In this case, the clients received IRS letters, showing what seemed to be an astronomical amount of back taxes. The tax debt was three times the amount of combined income! 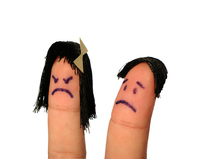 This couple was not happy with the situation. The clients had relied upon a tax return preparer they hired to prepare and file their tax returns. However, due to an error made by the tax preparer, the filed documents contained a single incorrect number. This number was an extra digit which, to IRS, meant the clients’ income was 10 times the correct amount of income. In turn, this led to the IRS charging tax on this very large amount of reported income. Of course, the IRS based the huge amount taxes owed on the misreported income. The tax preparer, knowing about his mistake and the tax mess it caused, refused to cooperate with us! He would not provide copies of the incorrect documents for fear we would actually see his mistake. He was so worried about losing his reputation that he abandoned his relationship with his (now former) tax client! And we tried to help him! But that’s not the point of this article. Sure, this was a difficult situation for the clients. However, the problems could have been avoided (or more easily corrected) had the client insisted on receiving copies of everything the preparer filed with the IRS. This means keeping not just the return itself, but the Forms 1099 and Form 1096, and all documents related to the business tax return. Keeping complete and accurate records only serve to protect you in the end. With all documentation, you are better equipped to resolve most tax problems. Without your documents, proving inaccuracies becomes more difficult, time-consuming, and costly. But here’s another note: We should all “double check” prepared tax returns before they are filed. We encourage you to trust your chosen tax professionals. You already found them to be smart, reputable, and reliable. However, we are all subject to human error. Besides, the tax preparer wants to avoid mistakes too! A good review is the key! The simple solution: Double check their work. Keep all copies. As we have all been told … CYA! 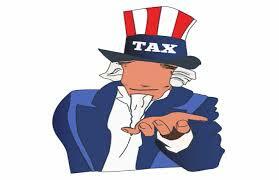 If you are in need of tax resolution assistance from our lawyers, please contact us today. We look forward to working with you and helping you understand your options when it comes to IRS difficulties. By: Shavonne Taylor and J Anton Collins. Ms. Taylor is a Tax Case Analyst and frequent blogger with Tax Law Offices. Attorney Collins formerly worked with IRS, and is a specialist in tax problems for business owners.